A slender heron, often standing very upright, this bird ^ a occurs on offshore reefs, coastal mudflats, rivers, lakes, marshes, and dry grassland. On dry land or in water, it walks slowly, stopping to stab at its prey, or stands and watches for it. Prey includes fish, frogs, shrimp, and sometimes lizards and small birds. 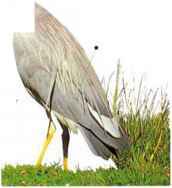 The White-faced Heron also benefits from the plagues of grasshoppers or mice that occur in parts of its range. Like many herons, it sometimes establishes a temporary feeding territory, which it defends against others of its kind. Its usual call is a loud, single croak, but it also utters low, guttural notes. When not breeding, it is sometimes found in open landscapes, but pairs always nest in trees. Breeding birds perform displays at the nest in which they raise the spiky plumes that grow from their heads, necks, and backs. They nest in pairs or in loose groups of pairs. 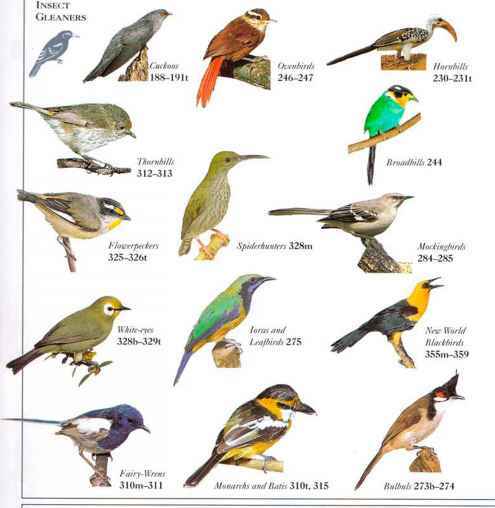 • NEST a large structure of sticks and twigs with a central hollow on top, situated in a tree. * • DISTRIBUTIONS. New Guinea, New Caledonia, distribution Australia, and New Zealand.